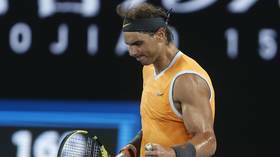 Rafael Nadal swept past Greek youngster Stefanos Tsitsipas in straight sets as the Spaniard produced a masterful display to reach the Australian Open final and a shot at an 18th Grand Slam title. 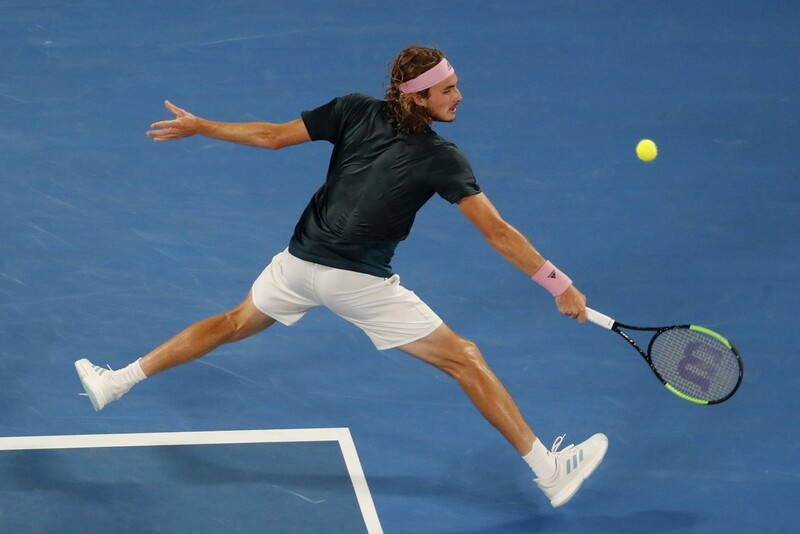 Tsitsipas, 20, had no answer to Nadal’s relentless power and pressing as the Spaniard won 6-2, 6-4, 6-0 as he marched into the final in Melbourne, where he has yet to drop a set this year. 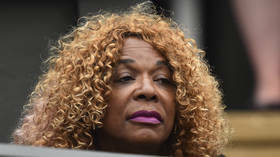 The chastening encounter halted Tsitsipas in his tracks, after the Greek had impressed so much on his run to the semifinal Down Under – beating Roger Federer along the way and becoming the youngest men’s player to reach that stage of a Grand Slam in more than a decade. In Nadal, however, he faced a relentless force of nature and a player who had firmly put the injury problems of last season behind him. The 32-year-old second seed broke his younger opponent twice in the first set to win it 6-2 in 31 minutes, with some commentators saying it was the Spaniard playing like a god, rather than his Greek rival. 31 minute reality check for Tsitsipas there. Nadal playing like Zeus, leads 6-2. While Tsitsipas steadied the ship by holding serve at the start of the second, Nadal forced the initiative to break his rival in his fifth service game before closing out the set 6-4. 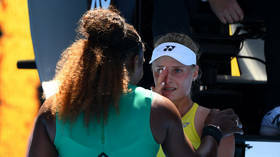 Tsitsipas responded to being broken by lashing out and firing a ball wildly into the crowd, but worse was to come as Nadal crushed the Greek 6-0 in the third set to book a place in the final against either Novak Djokovic or Lucas Pouille. Nadal’s dominant win and superb form Down Under had fans and pundits purring with praise – with the Spaniard looking at the top of his game. Rafael Nadal d. Stefanos Tsitsipas 6-2, 6-4, 6-0 in 1h46 to reach a 25th Grand Slam final, 5th at the #AusOpen. On this evidence Nadal could equal or even surpass Federer’s 20 Slams this year. Despite his crushing performance, Nadal claimed in the post-match interview with John McEnroe that he could play even better in the final - and he may need to, given he could face long-time rival and world number one Djokovic, who is favored to beat French rival Pouille in their semifinal on Friday. Greek youngster Tsitsipas looked despondent as he left the court, but can at least reflect on a magical run that has seen him emerge as a big contender among the tennis elite, even if the old guard is not ready to step aside quite yet.